Hello everyone. I enjoyed posting the ’Your Favourite Performances of…’ each week so I thought this might be an interesting carry-on. The main purpose of this and the performances thread was to gather lists of recommended films. For this thread you are simply to consider the overall film. Hopefully there will be some discussion about them too. The format for listing the films should be like this …. 1. Day for Night (1973) Francois Truffaut, France. Lots of films are co-produced by many countries. I usually just try to pick one representative. The predominant language or the nationality of the director may be the best judge. I ask only a few things of participants. First, to wait until I have changed the year of the thread before posting your own choices. Second, to go by the generally accepted theatrical release date of a film rather than the year it was released in North America or nominated for an Oscar. The imdb and wikipedia are pretty good sources for these initial release dates. Film festivals and most premieres count as release dates. I have my own rule of thumb when it comes to films that have been banned from public release for many years. The Soviet block countries had a habit of doing this. In these instances I use the date the film was completed. Films simply shot in a foreign country do not qualify. Orson Welles made a lot of films in Europe but they were in the English language. Similarly, Antonioni’s The Passenger (1975) with Jack Nicholson is an English language film. I would think that films like The Longest Day or Tora Tora Tora or Last Tango In Paris which have big segments in a foreign language would not qualify as they are primarily English language films. Sergio Leone’s westerns with Eastwood would be English language films as the main cast performed the film in English. And The Artist (2011) is too cute to qualify. If you are like me, you probably try to avoid dubbed versions of foreign films but in some instances they are the only ones available to us. I’ll leave it up to you to decide whether or not to include them but you might mention if the versions you screened were dubbed. There really isn’t a limit to the number of films one can list but remember they are supposed to be “favourites.” That can mean different things to different people. Excellent films are usually my favourites. Please list them in your preference, i.e., number 1 through 10 and runner-ups. As in the performance thread at the end of each decade I will do a recap of the number one choices and then call for choices of the best foreign language film of the decade. We generally try to avoid short subjects or television movies. But, as in the case of Ingmar Bergman’s Scenes From a Marriage many foreign tv movies have also had theatrical releases or played in film festivals. Those films are fair game. A film should be at least 40 minutes in length to qualify as a feature film in this thread. This time I am going to start with films prior to 1920 for a week then after that films from the 1920’s for three weeks. After that we will go year-by-year doing one year per week. Saturdays will usually be the turn over day for new posts. For the silent films, and countries like Japan which were still making them in the early thirties, qualifying films should come from non-English speaking countries. It may take a little while for this thread to gain some steam. Personally, I have not seen very many foreign films in the 1930’s. But in prepping some of this I have noticed that when going year-by-year one gets a greater appreciation of the careers of some of the directors and a greater focus on their films. I plan on mentioning films that have won major awards in foreign countries or film festivals. But as you are no doubt aware they often win these awards years after their initial release dates in their own countries. This could get very messy. I will endeavour to mention the awards a 1967 film has won while we are on 1967, etc. You don’t have to have seen many to participate. Just have a favourite. As we kick-off this thread with pre 1920 films just remember that this is just about feature films. The running time needs to be at least 40 minutes. I am going to list my 'also seen' films which are not favourites so I do not have to list films that I have not seen at the end of the week. Next Saturday we will start films from the 1920's for three weeks. We will then do one year per week starting with 1930. Hopefully this will allow interested participants to get ahead of the game. My list of favorite foreign films of the 1910s and 20s. Good thread idea. Is the exclusion of short films just for this pre-1920s round to keep out very short, proto-movie stuff like A Trip to the Moon or that will be in effect throughout? I ask because many of my all-time favorites, including the best work from some foreign masters like Alain Resnais, Rene Clair, Joris Ivens, Albert Lamorisse, etc., are short films and I’m not sure the benefit of ghettoizing them with disqualification. Funny to see only 4 countries represented in my 10 favorites. Sweden owned this era, which I guess is just to say that Sjostrom and Stiller were killing it. Both of you had this one on your lists, and I've never heard of it. Stiller is a name that I've heard but I know nothing about, and haven't seen any films by. The thought was to go with just feature films throughout. Films that are at least 40 minutes in length. But if anyone wishes to post a separate list of memorable shorts in any given year that would be most welcome too. I think it would be best to note them as shorts and keep them in a separate list or even separate post. France is making the first heist films, while Italy is focusing on historical epics. I have seen lots of films from Western European countries, especially from France and after 1960. The period 1930 - 1945 was relatively weak for foreign language movies in terms of quantity, but I think I know at least one good one for each year. Some of these very early films are better known as the remake, but that can arouse your interest to see the early versions too. I'd be interested to hear from others if they saw most of their choices on TCM. I've only seen a paltry 3 in total but many more U.S. films of course. So I didn't see any of them on TCM. It's time for the 1920's. We will be on the 1920's for 3 weeks then move to 1930 and go one year per week. Please remember that these are foreign language films so non U.S. films in English do not qualify (see the OP). And this thread is primarily for feature films (40 minutes or longer) but if you wish to mention some notable favourite shorts please do so separately. Here are my top FF films from the 1920's. 33 seen. For me it's the same as with Lawrence. I've seen most of these foreign language films on DVD, occasionally on Belgian or French TV, or YouTube as a last resort if it's impossible to find elsewhere. #1 and #2 could swap places, depending on my mood. They're equal in my estimation, in other words. I've seen this one as well, but since the 35-minute running time is shorter than the 40-minute qualifier, I omitted it from my lists. The Fall of the Romanov Dynasty Esfir Shub, USSR I saw #2, 4 on youtube, #1 on VHS, and probably #3 on DVD. Storm over Asia Vsevolod Pudovkin, USSR I saw #3, 6 on youtube, and the others on either VHS or DVD. The New Babylon Grigori Kozintsev, Leonid Trauberg, USSR I saw #4, 5 and possibly #3 on youtube and the others on either VHS or DVD. 1. The Passion of Joan of Arc. I just noticed this thread. I can't really add anything as I really came in to see WHAT "Foreign Language Films from the 1920's " actually existed! I mean, I didn't THINK the "furriners" beat us in making "soundies" back then. All is explained (I hope) in the original post. Yes, silents are universal but we are trying to eliminate films from english speaking countries like America and Great Britain for the purposes of this thread. It will get easier when there is sound. 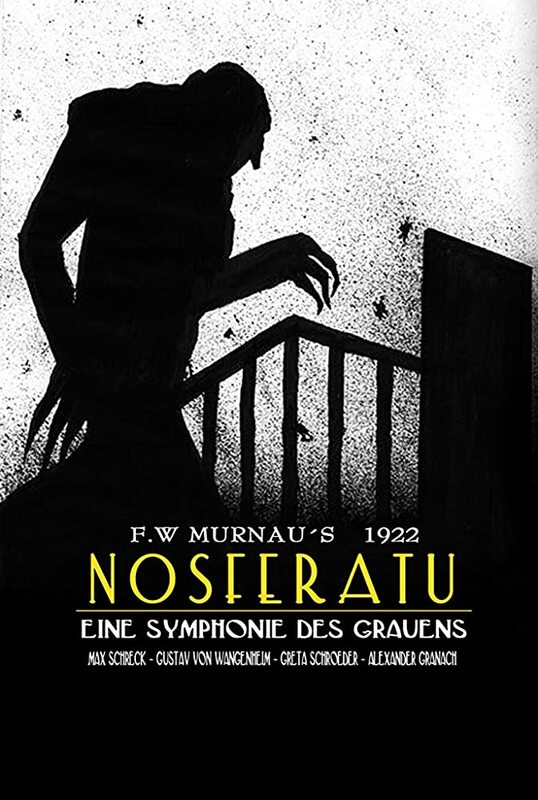 I saw that film at Detroit's now gone FORD AUDITORIUM when it was making the rounds with live orchestra accompaniment and CARMINE COPPOLA guest conducting the DSO. I've long thought a movie adaptation based on KEVIN BROWNLOW'S book that chronicled the search for all the missing reels and restoration of the Gance film would make a fine movie if done well. It IS a compelling read. 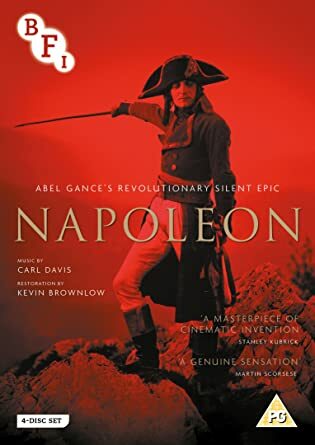 Originally conceived by Gance as the first of six films about Napoleon, this five-and-a-half-hour epic features full-scale historical creations of episodes from his personal and political life, that see Bonaparte overcome fierce rivals and political machinations to seal his imperial destiny. 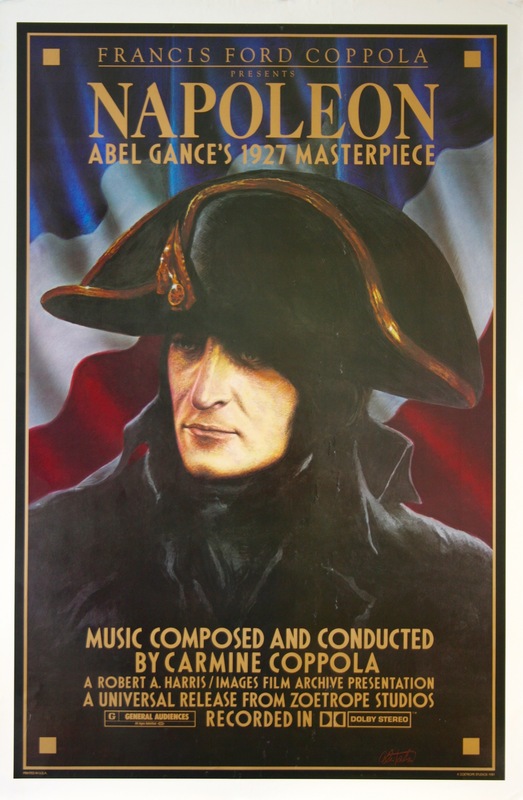 Utilising a number of groundbreaking cinematic techniques, Napoleon is accompanied by Carl Davis monumental score (newly recorded in 7.1), and offers one of the most thrilling experiences in the entire history of film. Fritz Lang's Metropolis is based on a dystopic science fiction novel by Thea von Hardau. In the remote future the working class lives completely separated under the ground, an idea that already appeared in H. G. Wells' The Time Machine. The people above the ground are kept ignorant with bread and circuses, while the workers are treated like parts of a machinery. The intertitles move up or down in relation to the two classes. The pentagram is used as a symbol for the human body, with four limbs and the head. This shape is also present in the clock, handled by a worker. The architecture is modernistic, influenced by Bauhaus. Miniature sets were used. The camera doesn't move, although that impression is created by moving backgrounds. The character of the mad professor is an archetype, although it's explained what made him so. Brigitte Helm plays the double role of the prophetess and Maria and her robot impersonator. Only a reduced version was kept, until a complete version was discovered in Argentina in 2008. The restoration went in premiere in 2010. One scene was damaged beyond repair and has been replaced by title cards.